OUR BET: The most creative ideas sprout in extreme conditions. Tired of the constant flow of bad news? Feel like everyone’s saying the world is broken beyond repair? We’re here to restore your faith in humanity! Passionate individuals are working every day to reshape the world with crazy ideas, determined creativity and a belief for change. 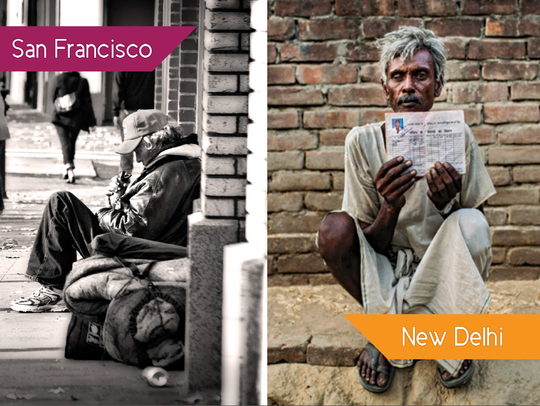 In India, the biggest challenges are met with the most inventive solutions. Amidst the country’s large population, social divides and blindness rates, entrepreneurs are coming up with new ways to tackle issues that matter. 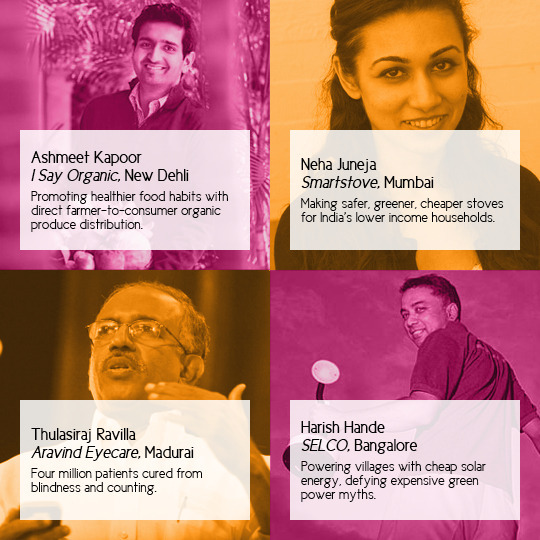 We have selected 25 inspiring men and women to meet over 25 days across India. We will share their stories and ideas with you in a documentary and a series of short videos. Consuming energy efficiently, implementing emerging technologies, solving traffic congestion, self-sustaining on few resources, empowering Indian women, rethinking community structures—they’ve seen it all! Entrepreneurs who respond to extreme conditions can inspire us to see our own issues in a new light. With intercultural exchange, our futures are built together. Help us spread important ideas! Over 25 days, we will travel through 9 cities, to meet the 25 we’ve selected. If our KissKissBankBank campaign is successful, the following are just a few of the innovative entrepreneurs we shall meet. Thibault is the engine behind India 25, coordinating the project from Silicon Valley thanks to all-nighters on Google Docs, many Skype calls and constant emailing with our entrepreneurs. Entering graduate studies at UC Berkley in the Fall, Thibault decided to build an project to channel his passion for innovation and social entrepreneurship. His motivated spirit and determination took care of the rest. 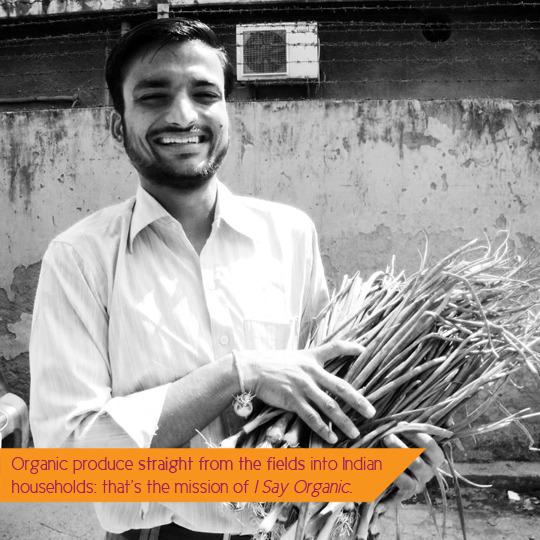 Thibault wants to make sure this experience in India is unforgettable for all involved. Erwan likes to push his limits, whether it’s by going to med school or running a marathon. A natural adventurer, he will navigate the team through India with his carefully planned itinerary. He is also going through every travel guide he can get his hands on in the hope of finding spice-free food. Erwan’s good mood will keep spirits soaring throughout the month. Charles is our money-savvy communications and finance coordinator. Whether negotiating the price for a rickshaw, or keeping track of all of our costs, Charles will get us the most out of our time and money, while keeping a sense of humour. His force of will, good sense of relations and flexibility to improvise always lead him to discover new experiences. Alexis is an always-on-the-road kind of a guy. Whether he’s practicing graphics design and modern languages in Paris, studying creative writing, film and cultural studies in Canada or working with Burmese refugees in Thailand, Alexis seeks to understand other cultures and gather stories. He’s in charge of all things graphics and visual for the project. INDIA 25 needs your help to make this amazing project a reality! Better film equipment, including a high-quality camera. Four round-trip plane tickets, in-country transport and visa fees. Food, housing and miscellaneous project costs. 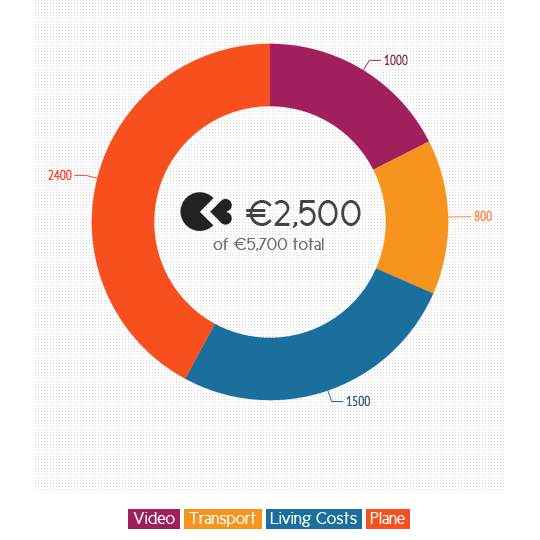 Despite our savings, we still need €2,500 to make this happen. Give us a helping hand to make our dream come true! If we exceed our fundraising goal, the overflow will assist post-production and distribution of the documentary. 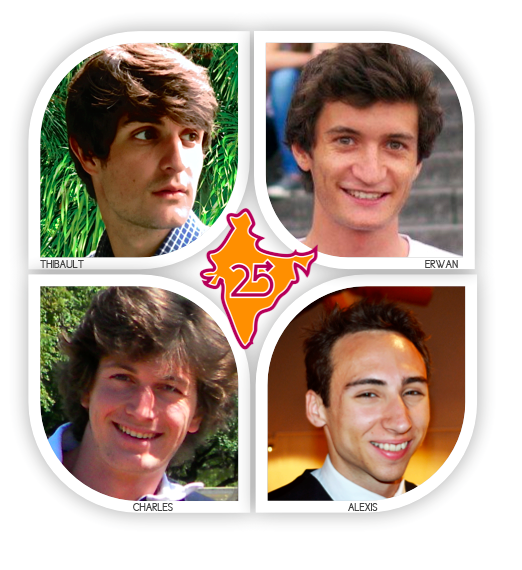 A BIG THANK YOU from the INDIA 25 team on our Facebook page. Subscription to the INDIA 25 newsletter for project updates + your name and picture in the final THANK YOU of the documentary. A postcard from India with some Indian words of wisdom, signed by the whole team to thank you for your support + previous perks. GLOBE-TROTTER PACK Pre-release screening copy of the INDIA 25 documentary in high-res + the series of short travel videos, the entrepreneur interviews and the bloopers + access to our journal full of tips and advices from the travel of the team + previous perks. ENTREPRENEUR PACK Get answers: we will ask YOUR question to the entrepreneur of your choice and we'll send you his specific answer in a video along with the whole interview. An exclusive invite to the documentary premiere and cocktail party of INDIA 25 with an INDIA 25 team presentation and feedback + one of the 2 previous packs. A fine local artifact you'd be proud to display + an invitation to the INDIA 25 premiere + one of the GLOBE-TROTTER or ENTREPRENEUR packs. THE ADVENTURER PACK Get inspired with our project book, "ONE DAY, ONE ENTREPRENEUR," + an invitation to the INDIA 25 premiere + one of the GLOBE-TROTTER or ENTREPRENEUR packs. THE CHANGE-MAKER PACK Discuss your ideas with the 25: we will connect you with one of the 25 entrepreneurs + the project book "ONE DAY, ONE ENTREPRENEUR" + an invite to the INDIA 25 premiere + one of the GLOBE-TROTTER or ENTREPRENEUR packs. "SOCIAL INNOVATION INDIA/AMERICA" DINNER WITH THE INDIA 25 TEAM Be one of the lucky 7 to get an awesome home-cooked Indian dinner, in San Francisco with members of the INDIA 25 team. You will also get the ADVENTURER pack. SPONSOR PACK Your name or your logo on all our communication means (video documentary, video clips, our blog and social media pages - Facebook, Twitter, GOOD) + you will be invited as our sponsor to the INDIA 25 premiere. Further collaboration together is possible. DINNER WITH THE INDIA 25 TEAM Be one of the lucky 7 to get an awesome home-cooked Indian dinner with members of the INDIA 25 team. You will also get the ADVENTURER pack.